Awnings combine functional elegance with decorative appeal to enhance the architecture of any home in addition to providing protection from the elements. They are the perfect addition to any residence. 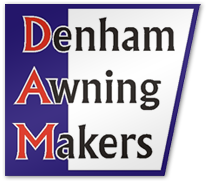 Awnings can protect interior drapes and furnishings from undue fading. Awnings and canopies can also be used to extend your living space over pools and patios, grilling or lounging areas…the possibilities are virtually endless! Awnings conserve energy by shading windows and reducing indoor temperatures. Choose from an array of eye-appealing color, patterns and fabric selections. 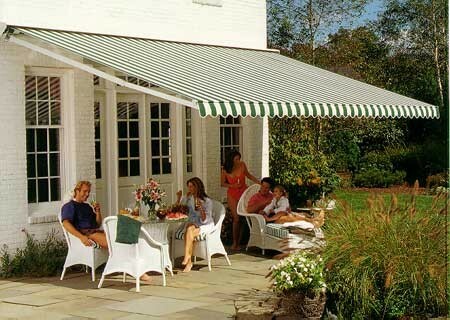 Today's awning fabrics are durable enough to withstand wind, rain and sun, yet retain their flexibility and good looks.